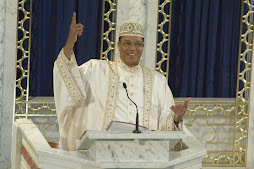 In a more than two hour press conference from Mosque Maryam, the Honorable Minister Louis Farrakhan issued a divine, stern warning of God's chastisement and judgment on America to President Barack Obama and the U.S. government that America will never win the wars it is waging across the world. Min. Farrakhan said that is is hypocritical for America to claim that Leader Muammar Gaddafi must step down as the leader of Libya because of America's humanitarian concerns, when all across Africa - in the Congo, Rwanda, the Sudan, people have been and are being slaughtered, yet she has not stepped in. Min. Farrakhan, the great defense attorney that he is (but he is more than that....believe it) listed the good works that Mr. Gaddafi has done, not just for the Libyan people, but he gave specifics on Mr. Gaddafi's charity to the Nation of Islam, and talked about the Libyan leader's shock over betrayal by leaders like French President Nicolas Sarkozy because he funded Sarkozy's election campaign. Nonetheless, Sarkozy joined the US and her other European allies to go against the African leader and dropped the bombs on him. 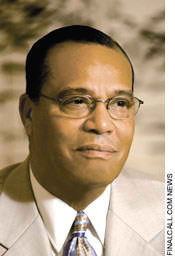 I urge you to hear the Honorable Minister Louis Farrakhan for yourself. 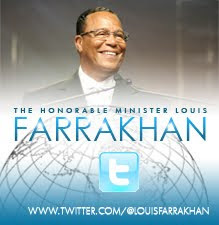 Go to: www.finalcall.com and get your own personal copy of today's statement or any other that he has given that you desire. 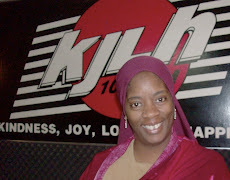 Also visit www.noi.org. This was a very important press conference and "Announcement" likened to the "trumpet" being blown before the mountains are moved in Surah 78 of the Holy Quran. Powerful message.